Lavish yourself to a luxurious 2 bedroom condominium at one of the most sought after location in Cebu City. Amalfi Oasis Cita Di Mare' is a prime location with views of the mountains and the seas, surrounded by entertainment hubs, seaside dining, Ocean park, malls, and many more... 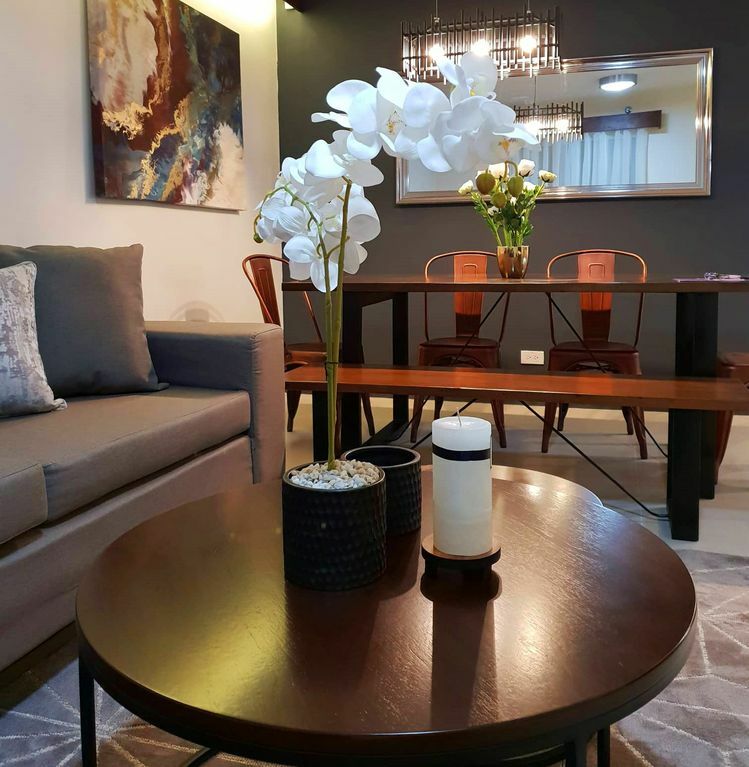 The property is along Cebu South Coastal Road, stones throw away from seaside Restos' at Il Corso, SM mall where one can enjoy shopping, dining, great Cafe's, and so much more. Hello all! I am a U.S. based host with few hospitality properties in the Philippines. Grow up and raised in the lovely province of Cebu Philippines so I know where to recommend my guests if they want to have an adventurous experience while vacationing in Cebu! I also love travelling both domestic and international when time from work as a health professional permits. I have a dog named "Happy" whom I adored with all my heart. Please send me a quick visit for any comments, recommendations, and issues during your stay at my place. I only have one request to all my lovely guests, "Enjoy your stay and treat the place like your own". Thank you all!! This cluster of 5-storey buildings is part of a low-density community with approximately 65% of the property allocated for open spaces and landscaped greens. With 20-meter-wide landscaped walkways and bike lanes and car-free zones, Amalfi Oasis is a relaxing, pedestrian-friendly community. Accessibility: 5 minutes away from the Central Business District of Cebu and the International Port of Cebu Not more than 30 minutes away from the International Airport. The 2 BR unit has a living room with a smart TV, dining room, partially equipped kitchen, full bath with hot/cold water, and a balcony overlooking the garden. Property boasts 4 pools (1 Olympic size, 2 Adult pools, 1 kiddie pool). The unit can comfortably accommodate 5 minimum guests. Upon arrival in the property, the host will meet up with the guest and hand in the key. A toyota Hi ace van will be parked in front of the property that is available for use should our guest hire for shopping, cruising and touring around cebu city at a very very affordable rate. Lavish yourself to a luxurious 2 bedroom condominium at one of the most sought after location in Cebu City. Amalfi Oasis Cita Di Mare' is a prime location with views of the mountains and the seas, surrounded by entertainment hubs, seaside dining, Ocean park, malls, and many more... The property is along Cebu South Coastal Road, stones throw away from seaside Restos' at Il Corso, SM mall where one can enjoy shopping, dining, great Cafe's, and so much more. With FREE Airport pick up/drop off. Guest are provided with free Toyota Hi Ace Van Shuttle during their stay with driver free of charge from 8:00 am until 12:00 midnight around the outskirts of Cebu City.